since I stuck a piece of wire into my body with a large needle… and it hurt. since a device buzzing on my night stand woke me up. since I’ve needed to carry a receiver around with me. since I’ve had access to my blood sugar trends. since my old Dexcom stopped working… I can’t find where I put it. since I pressed the button on my G4 to turn on my screen. It takes a couple seconds huh? If you can’t tell, I’m officially back to continuous glucose monitoring. I received a box full of Dexcom goodies yesterday and got everything up and running after work yesterday. I haven’t been back to it long enough to give an official report on my thoughts, but for now, I’m just happy to see my trends… and in color! (What a bonus!). I’d like to think that blogging about not having a Dexcom helped… but at the end of the day, the cold, hard numbers and a fantastic letter from my endocrinologist probably pushed it over. My heart hurts each time I hear a story about someone passing away because they had undiagnosed, or misdiagnosed, type 1 diabetes. There are a lot of things being passed around the online diabetes community trying to alert parents to the symptoms of diabetes that they should recognize, this is important to me. It’s also important to recognize these symptoms in adults because diabetes (in general) does not discriminate on age, weight, race, general health, anything. Unusual behavior including mood change and irritability. My mouth was always dry and a craved a cool, clear glass of water. I remember filling a glass, gulping it all down, then refilling it. I thought it was dry mouth from allergies. And because I drank so much, I was going to the bathroom all the time. I was exhausted all the time, but I thought it was from getting up to go to the bathroom from drinking so much and not getting enough sleep. I remember being out and not being able to read a menu because everything was fuzzy. Then I couldn’t eat my meal despite being extremely hungry because with every bite I thought I was going to vomit. My stomach was upset all the time, then the morning I got out of the shower and immediately threw up, I decided that I must have the flu. I thought I would rest, stay hydrated and push myself through it, but I honestly forgot when the last time I felt well was. Brad convinced me to go to the doctor. I was looking up a technical term to solve a capitalization question (my life is thrilling, right?) When I was flipping through, I stopped on this page and the word “diabatic” jumped out at me. 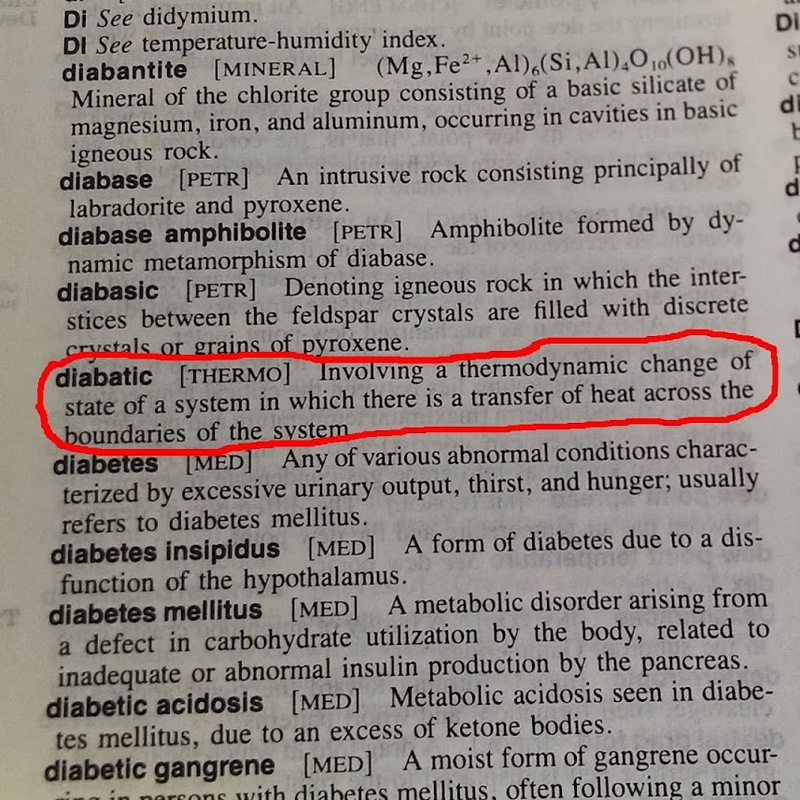 Sounds like it would be describing a batty person with diabetes… but nope, just thermodynamic stuff. Last weekend I took on Cedar Point, my first amusement park since being diagnosed with diabetes. 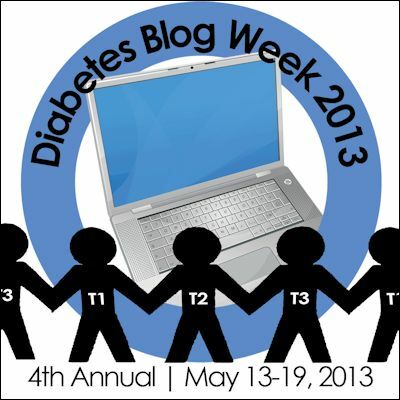 At this point, you may be thinking, how are visiting Cedar Point and diabetes linked? I was curious/concerned about some aspects of visiting the park with diabetes including how the rides my affect my pump, if the stress from roller coasters would drive my blood sugar up, the entire food situation and if the constant walking would drive my blood sugars down.